iOS and Android gamers have been all over Bethesda’s Fallout Shelter for the past few months now. If you do own an iPhone, iPad or an Android device and are wondering what the fuss is about, we’ll fill you in on the details – the game is Bethesda’s first Fallout entry for mobile gamers, and it allows you to control a post-apocalyptic vault, or a shelter for survivors. These survivors, known as Dwellers in the game, are yours to control – you can give them jobs, send them to the Wasteland to explore, and even have them create a family. 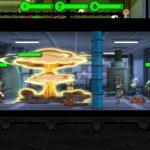 As part of our continuing series of Fallout Shelter strategy guides, we shall be giving you the first in a two-part series – how to protect your Dwellers from that all-too-nasty threat of radiation. Before you add rooms or floors to your vault, it’s a good idea to have a plan in mind, and know where you’re going to be placing those rooms and floors. When planning your vault’s layout, we suggest not adding another elevator shaft, even if that is an option. And when building rooms, we suggest that old trick we told you about in previous tips and tricks listings – build two to three rooms in a segment and combine them to ensure a growing population. Now, you won’t be able to build three-room areas right away, but plan for it – as the lower floor is totally empty, devote some space for one three-room area and one two-room area. As for other buildings, you can go with a power plant and water treatment plant on either the left or right side respectively – when building the rest of your vault over time, you can expand those areas into three-room plants. The diner and Living Quarters can also be expanded to three rooms over time, and once you’ve done that for all of the four buildings mentioned above, you can create a Medical Center to produce Stimpaks and a Science Lab to produce RadAways. You won’t get penalized by the game for placing a power facility next to those that produce water or food, which means there really is no right or wrong way to set up your resource-producing buildings. Be that as it may, it’s sound strategy to have these buildings next to each other, so as to make it easier and simpler to tap and collect. 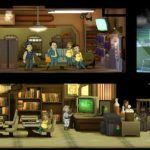 We’ve previously argued that combining three copies of the same room is probably the most important basic tip in Fallout Shelter. That is indeed true, but to make your strategy even sounder and smarter, you have the option of selecting any given room and tapping on the upgrade arrow, thus allowing for better efficiency. You can also pay Bottle Caps to improve production and storage. By doing those two things, you’ll have a more productive vault, with more output per work cycle, and more room to store your unused or yet-to-be-used resources. And once again, we’d advise you to create three-room units for your resource-making facilities; it’s a lot more economical than building rooms the very moment you notice your resources are down. You’ll save on your bottle caps and have an easier time collecting resources if you follow the above tip and also, per our earlier suggestion, ensure that resource-making buildings are adjacent to each other. Each Dweller has their own distinct skill set, as defined by the acronym SPECIAL – that stands for Strength, Perception, Endurance, Charisma, Intelligence, Agility, and Luck. High stats in each skill will determine where you can assign your Dwellers. Those with good Strength can be assigned to power plants, good Perception means a potential job at water facilities, good Endurance would come in handy when assigning Dwellers to explore or to bottle Nuka Cola, Charisma is important when pairing up couples to make babies or choosing people to host radio shows, those with superb Intelligence skills should be the ones making Stimpaks and RadAways, those with high Agility would be best assigned to food facilities, and lastly, those with Luck on their side should be the ones chosen when you’re rushing a room’s construction. As you can see, SPECIAL skills do matter when assigning Dwellers to jobs. Knowing your Dwellers isn’t just about knowing their stats. 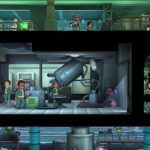 Happy Dwellers are healthy Dwellers, while unhappy ones would typically be unproductive – it’s a lot like real life despite the post-apocalyptic setting. You should also keep a close eye on their health, and treat sick Dwellers with Stimpaks or RadAways depending on whether it’s an injury or a radiation issue; this won’t just improve their happiness, but also that of your community in general. And speaking of RadAways, you’ll want to give them to any Dweller who’s got some red in their health bars. Once you reach a certain number of Dwellers, it’s going to be hard to pay attention to which Dweller is working in what facility. But that’s why you’ve got the clipboard, which would give you a snapshot of who’s working in a specific room and what their SPECIAL stats are. You can also sort your Dwellers by their name, level, and SPECIAL stats, or do Dweller stat comparisons. It’s cool to send two Dwellers to the Living Quarters so they can procreate, but there’s a right time to start doing that, and it’s not before your resource buildings go online. You’ll need workers in order to operate resource centers, so don’t send men and women to the Living Quarters until you’ve completely upgraded your first three-room copies of your resource facilities. Remember what we told you last time –pregnant women are able to work, but they won’t be of any help when defending your vault. And children won’t be able to work unless you wait about three in-game hours; that’s the only time when they’ll turn into adults. 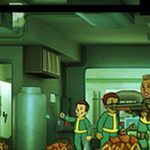 Now, the you’ve learned some hints on how to protect your Dwellers from radiation, we suggest you to take a look at the second part of our dedicated Fallout Shelter strategy guide, which features additional tips and tricks.